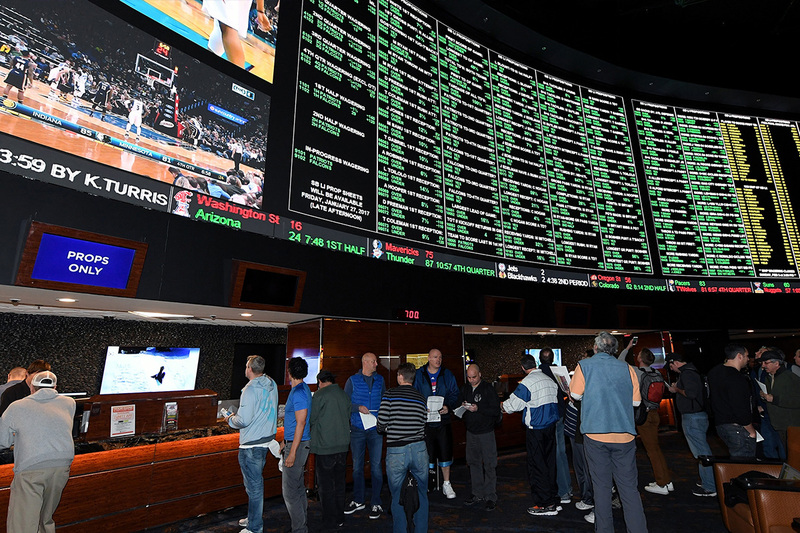 As March comes to a close and we welcome in April, we gear up for the sports gambling paradise in the US of A. It’s the FOMO (fear of missing out) that set up a temptation island for all us degenerates out there. How many of us can’t help but fill out a tournament bracket for this year’s NCAA tournament? I mean, it’s impossible to fill out a perfect bracket, and no one has any idea what may occur game to game (although the consensus is that it is Duke’s tournament to lose), but we cannot help ourselves and participate. Last year, Virginia lost to a 16 seed. Does that mean that the committee was wrong in seeding them as a 1? Or was Maryland Baltimore County (UMBC) incorrectly seeded at 16? They did end up losing the next game to Kansas State a 9 seed. The point is, it’s a flawed process, in a flawed sport that has flawed analysis. Or, is a 1 game elimination not the right setting for the analysis we are provided for a team’s ability to rack up consecutive wins? Give me $1,000 on #11 Arizona State beating #6 Buffalo. The Bermuda Triangle in the tournament where you are all but assured an upset as a #6 seed. Should we just place the 16 seed as the 6? How is it, that no matter what happened that year, and what team is assigned, a 6 looses to an 11 seed? It’s all insane! But we cannot help but fill out these brackets; the FOMO itch is too strong. You have the same chance of studying and picking based off of metrics and matchups than picking your favorite mascot. So whether you studied or not, everyone is failing, but the upside is the curve. You can fall into a % of incorrect brackets that is “more correct” than everyone else. Is this a good time to invite you to play in Lemon City’s group? Speaking of flawed analysis, the NFL Draft, how can you openly call yourself a scout in that profession? Never has there been a more flawed system, where Billionaires give up millions of dollars to the so-called experts in their field to take a contract of a kid coming out of college and later be labeled a bust. Can we give more analysis and visibility to these scouts? I mean where is the transparency? Let’s get the statistics on a scout’s % of being wrong. What is this 5 star recruiting evaluation? Who puts the stamp of approval on labeling a kid out of high school a set of stars for their… talent potential? I remember getting a sticker with a star when participating in class. Is that the same thing? It seems that there is a lack of interest in getting accountability from scouts. So as we head to another celebration of kids becoming instant millionaires overnight, and don’t get me wrong, it’s great to see the families celebrate with their child on their success. It’s not easy being a student-athlete and alluding injury while keeping a strict diet and completing your circuit in the weight room, all while achieving good academic status. But how are we to know whether said student-athlete will be any good in the NFL? It’s so bizarre to see the attention this is now getting; we have cheering sections for each pick as the commissioner reads an awkward pronunciation of the name of a person he has never heard of before in his life. What are you cheering for? Why should you boo? Does this count? This is the Twitter of sports, where your initial reaction has no value and no logic. 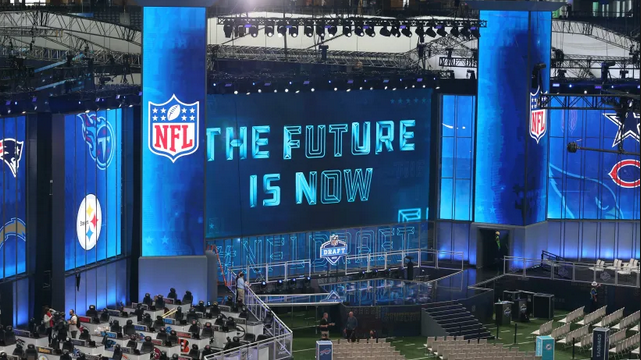 The Draft should be held exclusively online with a Twitter account, where everyone gets a free shot to agree or disagree with said pick to said team where months from now all will be forgotten and no one cared to see who was right or wrong. The show must go on! Good ol’ US of A, where analysis about nothing gets millions of dollars moved around in the economy. I hope you cover your bets, whatever that means, as nothing is for sure. A 1 seed can lose to a 16 and a 5-star recruit from Clemson that has won a National Championship can be a million dollar bust. But are you not entertained? Welcome to Wally’s World, leave a comment below or follow me on Instagram!